Giant swamp taro, Cyrtosperma merkusii, consumed and regarded as indigenous food in many regions of Cameroon, is a potential bio-source of antioxidants as well as flours for use in different food formulations but which has not been widely studied. The present study was carried out to determine the effect of drying conditions on the chemical composition as well as the physical and functional properties and antioxidant activity of flours of this tuber. Slices of the yellow and mixed sections of the tubers were processed into flours by sun-drying (temperature ≈35 °C) and hot air electric drying at varying temperatures (50 °C, 60 °C, and 70 °C) before milling. Drying temperature and technique showed marginal effect on the protein, fat, fiber, ash, and carbohydrate content of taro flours. Color attributes, physical and functional properties, 1,1-diphenyl-2-picryl-hydrazyl radical antioxidant activity, as well as reducing power of flours were found to vary significantly (P < 0.05) due to either the drying temperature or method. Hot air electric drying at lower temperatures (<70 °C) produced flour with higher water absorption capacity (WAC), water solubility index (WSI), porosity, bulk density, and preserved antioxidant activity of flour, whereas sun-drying was associated with flours of higher WSI but lower WAC, and lower antioxidant capacity. It was noticed that carotenoids and ascorbic acid contributed to the antioxidant activity in taro flours, and taro flours made of different taro portions showed different antioxidant mechanisms. 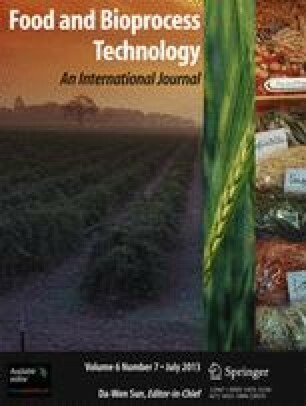 This study highlights the low temperature hot air-drying method as a very good lead for preparation of effective natural functional flours for culinary system. The authors greatly thank the financial support from the Cooperation pour la Recherche Universitaire et Scientifique (CORUS, French Cooperation) which helped the first author to carry out part of the study in the Laboratoire d’Ingenierie des Biomécules (LIBio) de l’INPL, Universite de Lorraine, France.